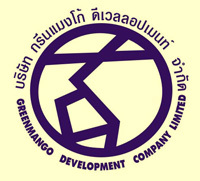 Green Mango Group is a respected, Thai owned development company based on Koh samui. 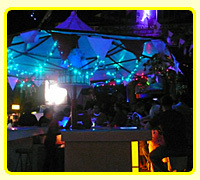 Green Mango Group was founded in 1990 with the launch of the Green Mango Nightclub. 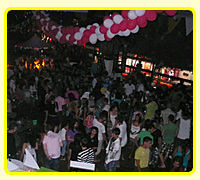 The aim of the group was to found a world class entertainment venue, and in 1994, the club moved to its current location to fulfill those aims. In 2001, Green Mango Group decided to provide fantastic places to stay while enjoying the great spots to party on the island. It built, developed and managed Reuan Thai village, a Thai style accommodation complex next to Chaweng Lake. 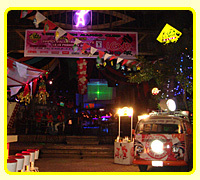 Following the success of Green Mango Club, the company opened sister nightclubs, Sweet Soul and Mambo, and is now the leading provider of entertainment venues on Koh Samui. Popular demand saw Reuan Thai Village followed by the serviced apartments of Chaweng Park Place, and most recently, the luxury long stay accommodation, Sasitara Residence. Green Mango Group now operates all of its accommodation options under the Sasitara division. Visit the official website for Koh Samui accommodation, and discover the latest Green Mango Group accommodation development, Sasitara Thai Villas in Baan Plai Laem. Green Mango Group is a trusted and experienced developer of entertainment and accommodation projects. It’s area of expertise expands to bar rental, land sales and the development of individual projects from design to completion.